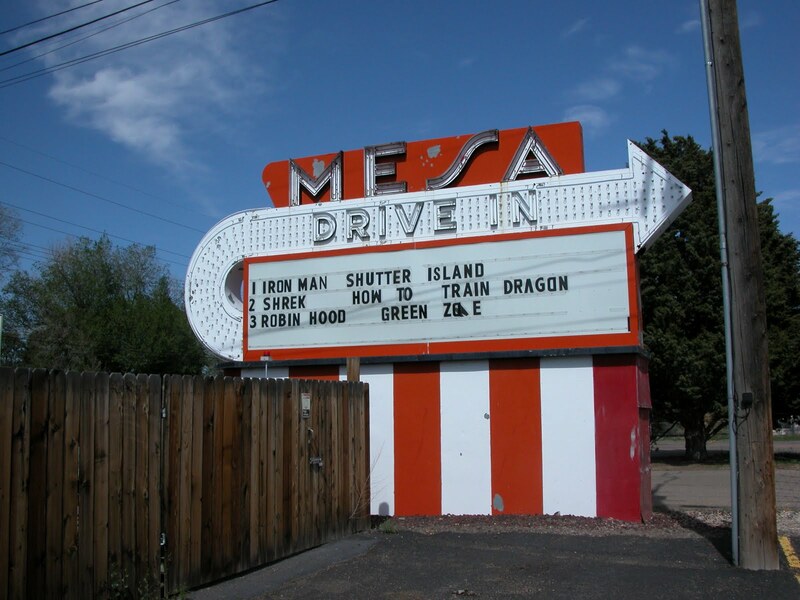 Please enjoy our list of all of the drive-in movie theaters in Colorado. 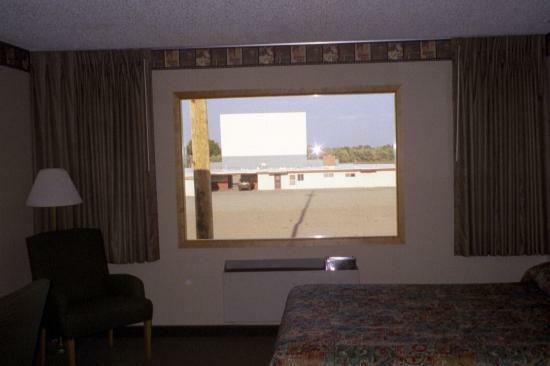 The 88 Drive-In Theatre maintains a single screen that shows a single double feature, two nights per week. In addition to offering movies, they have their own motorsport car that they race. 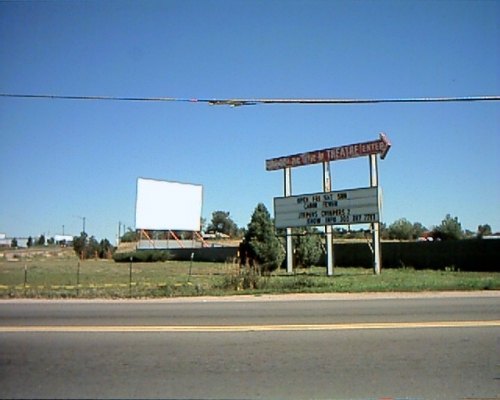 The Holiday Twin Drive-In offers two double features, one on each of its two screens. They run seven days per week during midsummer and on weekends for the rest of the summer. They have a full concession stand, including a wide range of options such as bratwurst. 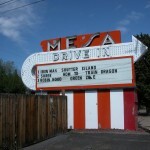 The Mesa Drive-In offers three screens, each showing a different double feature. They usually reserve one of these screens for family-friendly entertainment. They offer a wide range of concessions, including a variety of types of hamburger. 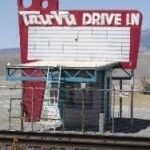 The Star Drive-In in Monte Vista is one of two drive ins with that name in Colorado. They have a very interesting set up with the local Best Western motel, called the Best Western Movie Manor. 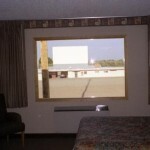 You can rent a room in the hotel and watch the movie from your room, if you like, rather than drive in with your car. Since the sound goes over the radio, you can listen to the movie as well. 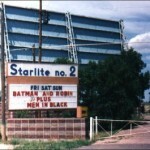 The Star Drive-In Theatre in Montrose is the other of two drive-ins with the same name in Colorado. 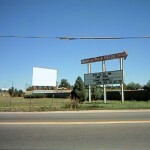 The drive-in is now sixty-two years old, and has been owned by the same people for the entire time. They show double features on their single screen every Friday, Saturday and Sunday night. Movies start at dusk. 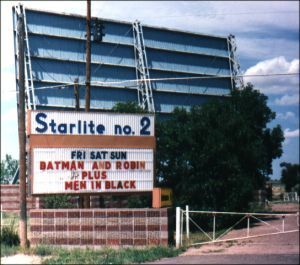 The Starlite Drive In shows one double feature on a single screen every Friday, Saturday and Sunday night during the summer. They were recently acquired by the local Fox 5 Theatre, so much of their information has recently been updated. They have a no cell phone policy and a no outside food policy. 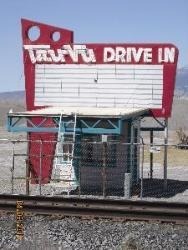 The Tru Vu Drive In offers a single double feature every night during the summer months. They offer made-to-order burgers in their concession stands. They are associated with the local indoor Egyptian Theatre.